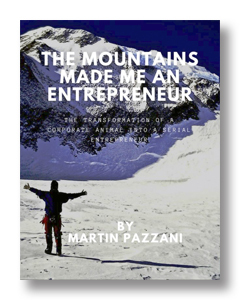 Martin Pazzani has given seminars, talks and keynote speeches to thousands of Fortune 500 business executives on six continents, at venues as varied as the Cannes Lions Ad Festival, The TED Conference in Monterrey, CA, the Dubai Lynx Show, The Copacabana Palace in Rio de Janiero, and New York's Waldorf Astoria Hotel and TriBeca Film Festival. With a particular affinity for out-thinking and out-smarting the competition, modern integrated content marketing, entrepreneurship, global brands, expertise in many categories from automotive to fitness to music to spirits & wines, and his passions of hiking and mountaineering, he can teach, motivate and inspire with a combination of gravitas, expertise and joy. The common denominator to all this: Martin knows how to make your big company more entrepreneurial, more competitive, and more successful. He knows how to inspire people to higher levels of performance. His talks and his upcoming book can show you how to apply all this to transform your thinking, your organization and possibly your life. Patrick Peduto has worked for five of the top-ten advertising agencies in the world and his own as an art director, copywriter, designer, creative director and commercial film director. Over the last 50 years Pat has worked on over 200 products for Fortune 100 companies and entrepreneurs. Pat has also taught for 30 years. First at FIT in NYC and currently online for AAU. 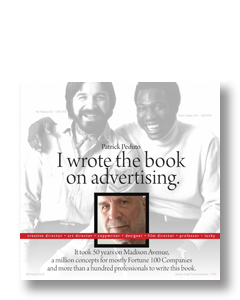 Over those years he's taken notes to write a book aimed at students and people new to advertising. It's sort of a text book written to be read cover-to-cover OR opened to any page to read/review a topic. Not only are the pages numbered but the paragraphs are too for reference. There is an index in the back. and examples -- including links to YouTube commercials. 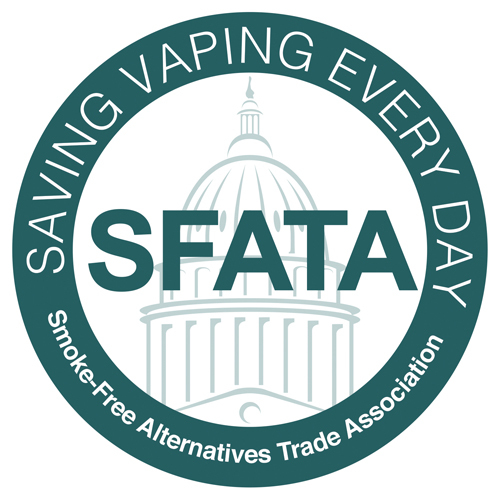 Our mission is to advocate for a reasonably regulated U.S. marketplace which allows our member companies to provide smoke-free products to adult consumers that are an attractive choice, while promoting a positive public image for vapor products and educating businesses in our industry.